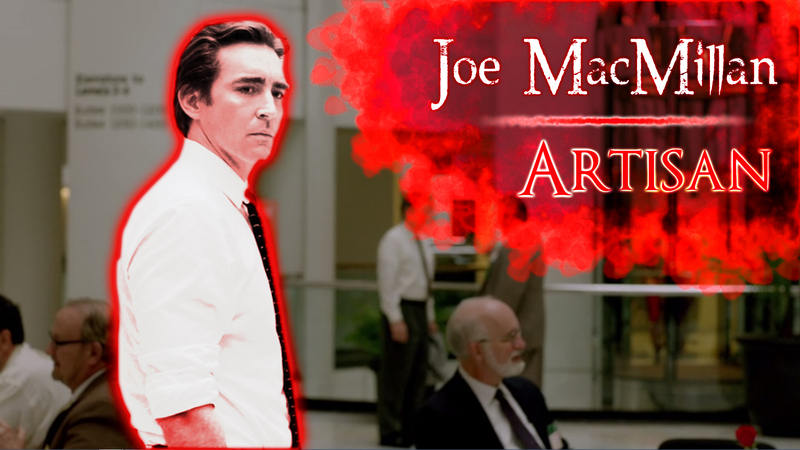 AMCtv 80’s tech-boom drama Halt and Catch Fire premiered it’s third season this Tuesday and is off to a strong critical reception at 95%. Halt season 4 is currently in limbo pending season 3‘s success. Joe Macmillan abandons a long and successful tenure of salesmanship at International Business Machines Corporation to get his own slice of the pie at a small hardware sales company in Texas named Cardiff Electric. He directly recruits a software specialist BIOS coder Cameron Howe and a hardware specialist head engineer Gordon Clark to gut an IBM PC and make a few a adjustments. The crew goes to COMDEX ’83 to show off the fruit of their labors, the Giant. Their first portable PC attempt with a dynamic OS written by Cameron that is ‘interactive’ or meant to emulate human interaction. The Giant competes with the major PC’s of its time but Joe leaves Cardiff Electric disgruntled, having destroyed thousands of dollars worth of corporate property — the first shipment of Giants. He finds a pertinent love interest Sara Wheeler and accepts a job under her father Jacob, an oil tycoon and CEO of Westgroup conglomerate. Joe becomes network administrator and uses this position/opportunity to offer a t1 speed network to Mutiny via time-sharing. His boss Jacob requests a meeting with someone at Mutiny and develops a rapport with Cameron. Negotiations take place. Joe pushes for a Westgroup acquisition of Mutiny. Negotiations go sour as Cameron sees the $5 mill deal as selling out which is not a concept that she is interested in. Joe relocates to Silicon Valley for a fresh start. His boss rips off Mutiny and calls it Westnet. Cameron sabotages Westnet with a rogue program Sonaris. Joe leaves Westgroup and starts his own company by the bay MacMillan Utility. He nets $10 mill in investment capital for his new anti-virus software venture. 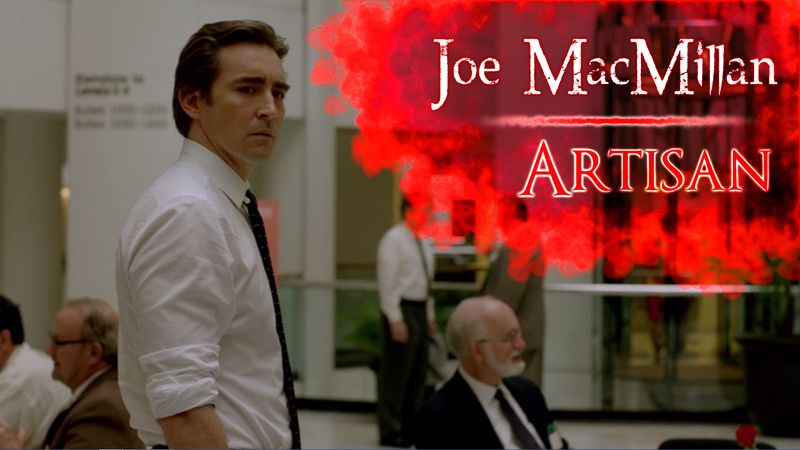 Bold, impulsive, resilient, gifted with a silver tongue Joe MacMillan is an Artisan. 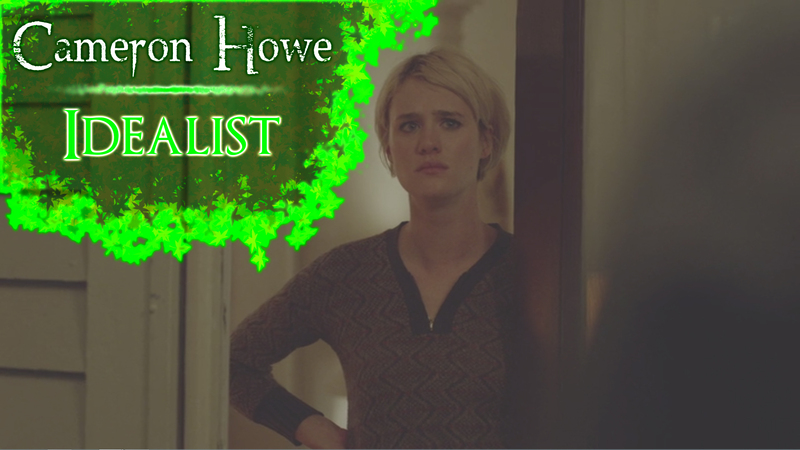 Cameron Howe is directly recruited by Joe MacMillan, for which she drops out of college. She is hired at Cardiff Electric and writes the BIOS code for the Giant’s operating system. Soon she becomes discontent with corporate overhead and beguiles most of Cardiff’s engineers to her tech start up company Mutiny. Mutiny is a gaming company which runs an online gaming community client the first of its kind — pay to play subscription-based model. Mutiny’s game base includes: checkers, backgammon, chess, parallax, tanks, and community. It and its game are riddled with bugs. Cameron writes her own proprietary RPG text-based game named Parallax. Her very freelance attitude begins to clash with her coworkers most specifically Donna Clark, a co-founder. Cameron takes a meeting with Jacob Wheeler CEO of Westgroup the guy who’s running their new high speed network. She turns down a $5 million buy out from Westgroup conglomerate. Wheeler and Westgroup pull Mutiny’s network space and give it to Westnet which commandeered all of Mutiny’s users, and replicated its interface. Cameron utilizes a bit of rogue programming named Sonaris to sabotage Westnet. Her, Donna, and Gordon repackage Mutiny and take it to San Francisco. “Connecting people. You dial in, you play games across phone lines with real humans. 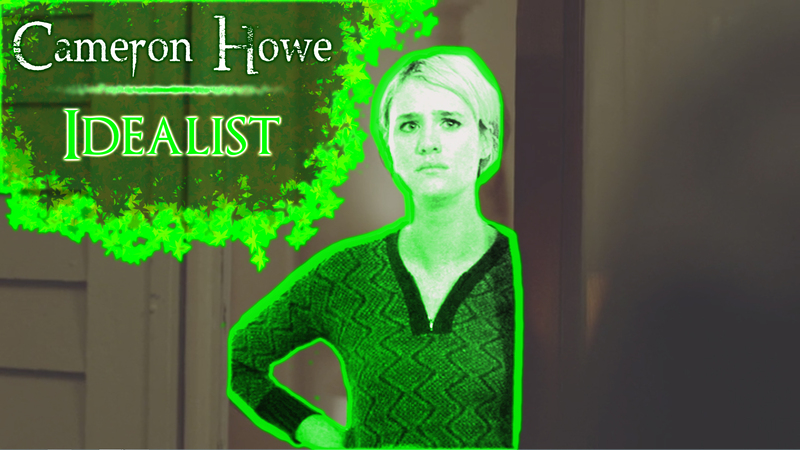 Visionary, optimistic, benevolent, always championing Cameron Howe is an Idealist. Donna works at Texas Instruments, but leaves to help her husband build his personal computer the Giant at Cardiff Electric. She assaults her former boss Hunt Whitmarsh at COMDEX who ripped off and reverse engineered a version of the Giant. Donna co-founds Mutiny with Cameron Howe and essentially handles all the DTD ops a la bookkeeping, housing needs, electricity, finances, appointments, coffee, food, groceries, coding, roster, etc. 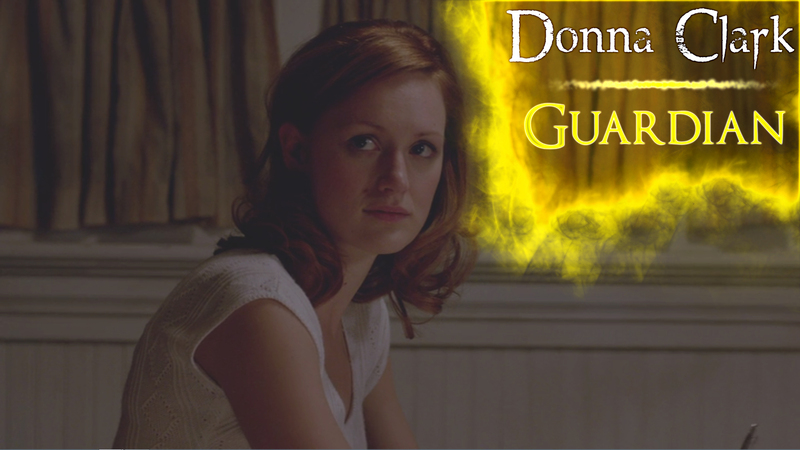 Donna begins to relent the burden of her duties and lack of appreciation in doing them. She writes a Mutiny game ‘community’ in which users chat with one another. She is delighted by the implications of this concept/sentiment. Donna recruits her husband Gordon and goes with him and Cameron to Silicon Valley to build an online gaming community via their company Mutiny. 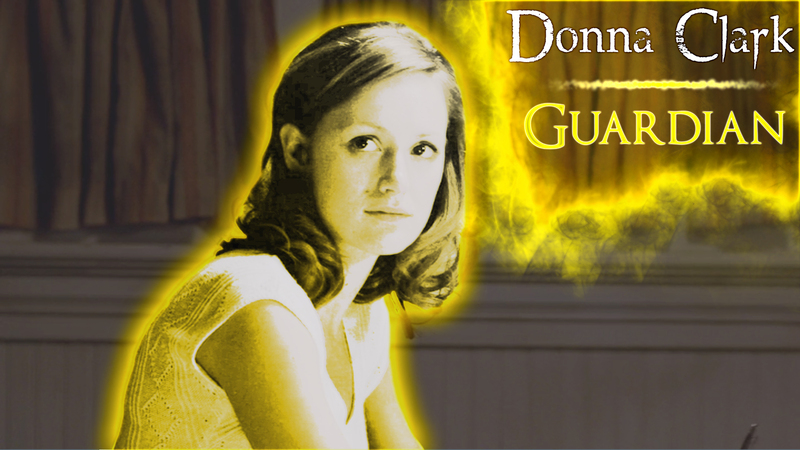 Grounded, administrative, stoic, and dependable Donna Clark is a Guardian. Gordon decides to reverse engineer an IBM PC with Joe MacMillan and serves as the lead engineer for the development of the portable computer the Giant. Gordon collects a $900,000 from Cardiff for his work on the Giant and Giant Pro but decides to take an indefinite leave and pursue other interests. He begins to take an interest in his wife’s online gaming platform Mutiny. Gordon writes a rogue program Sonaris that accidentally eats Parallax. In recompense he approaches Joe to connect Mutiny with a t1 network. 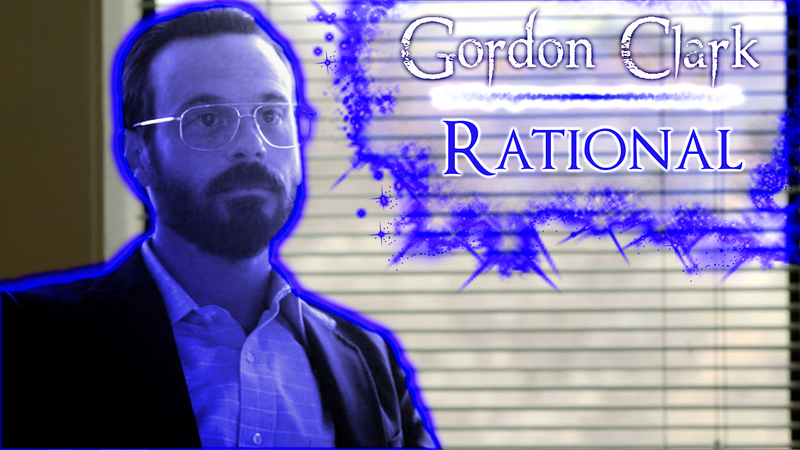 Gordon is diagnosed with chronic toxic encephalopathy after they found atrophies in his brain presumably due to his long term exposure to lead solder. He cherry picks some engineers for his own company a custom built PC venture. This doesn’t pan out. 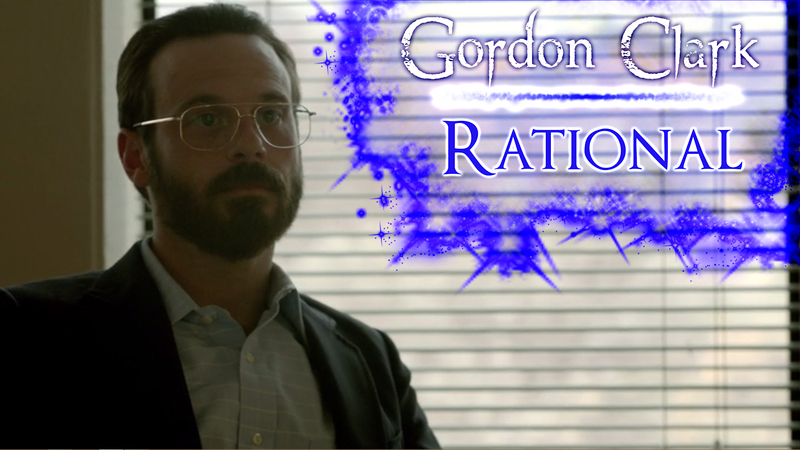 Gordon helps Joe get back on his feet after Westnet gets axed by giving him an antidote program Tabula Rasa. He goes with his wife and Cameron Howe to Silicon Valley to put Mutiny into the mainstream consciousness. Categorical, subjunctive, analytical, forever intrigued by technology Gordon Clark is a Rational. He lost. They didn’t elect him. In fact, he lost partially because of his efforts in behalf the nation. However, it hasn’t been widely recognized that the most impactful, beneficial, and long lasting effect of his decision, wasn’t the decision that he is known for, reviled for, and awarded for. PBS Masterpiece‘s British hierarchy period drama Downton Abbey is done and dusted, but Julian Fellowes evidently is penning a script for a film. Downton is available in its entirety on Amazon Prime, or youtube. Robert Crawley is the 7th Earl of Grantham and the Viscount Downton; simply addressed as Lord Grantham. He and his wife Cora have birthed three daughters: Mary, Edith and Sybil. The sinking of the RMS Titanic tragically decease two of Robert’s heirs, and the inheritors of his title and estate. Robert’s father drafted his will according to the laws of primogeniture, so all three of Robert’s daughters will have no claim to his wealth. The new heir is Robert’s third cousin once removed, a lawyer living in Manchester named Matthew Crawley. This discrepancy in nobility and class causes dissension among the family. In the meantime, Robert and his dear wife Cora re-purpose Downton into a convalescent hospital for soldiers recovering from the brutal trench warfare of WWI. The heir, Captain Crawley, is wounded in battle and temporary loses the use of his legs. Robert’s youngest daughter Sybil falls for the family chauffeur Irish national Tom Branson. They elope to Ireland. Matthew recovers from his battle wounds and coincidentally marries and impregnates Robert’s eldest daughter Mary. Robert makes a bad investment in the Canadian Grand Trunk line railway company, which goes belly-up, and squanders the lion’s share of the families remaining fortune along with it. Matthew is able to refinance the estate due to another inheritance he receives from his deceased lover’s father one Reggie Swire. They become co-owners of the house and estate. After popping the hood, Matthew feels that Downton is being mismanaged, and is hemorrhaging capital. Robert conforms his traditionalist views and implements several logistical reforms in the running of Downton. Tragically soon after birthing his son George, Matthew dies in a car crash. He leaves his stake in Downton to his dear wife, Mary. Robert’s youngest daughter Sybil dies of eclampsia after giving birth to a baby daughter. Branson succeeds Jarvis as manager of the estate. Robert takes ill and vomits a stomach full of blood onto the table during dinner. He receives a gastrectomy, recovers, and makes a commitment to take better care of his health. Extremely hospitable, genuinely kindhearted, stubbornly traditional, but above all a compassionate human being Robert Crawley is an Idealist. Mary loses her virginity to a Turkish diplomat visiting Downton one Kemal Pamuk. Pamuk tragically passes during the sexual encounter and Mary is left with a corpse in her bedroom. Mary engages with her sister Edith in several malicious machinations mostly just perturbing potential suitors. Mary takes an interest in the new heir, her distant cousin Matthew Crawley. Over time, however, the pair grow closer and a romance develops. Matthew proposes, to which Mary refuses to give him an answer. Matthew withdraws his proposal and decides to leave Downton but war breaks out and he joins the British Army. Mary has a brief unsuccessful romance with a new money capitalist Sir Richard Carlisle. Carlisle possesses leverage over Mary due to her transgressions with Mr. Pamuk. Despite this, she decides to break it off as she cannot bear his presence. Matthew comes back from the war crippled but has a miraculous recovery. Tragically his love interest passes of Spanish flu. He proposes to Mary and marries her. They have a son George. Tragically he passes in a car crash. Mary becomes agent of the estate after inheriting her late husbands share and after Branson leaves for Boston, Massachussets. She mourns Matthew for about 6 months and then shacks up with an eligible bachelor Lord Anthony Gillingham. Ultimately Mary lacks butterflies with Tony, and decides to discontinue the relationship. Soon after she meets Branson’s friend Henry Talbot a mechanic and race car driver. Mary blows up Edith’s engagement to a Marquess one Herbert Pelham by divulging the existence of Edith’s illegitimate daughter Marigold. In August 1925, she and Henry Talbot marry at the St. Michael and All Angels Church. Audacious, adaptable, impetuous, a fervent and active realist Mary Crawley is an Artisan. Charles Ernest Carson began working at Downton Abbey as a Second Footman at the age of 19. He lived at the estate to witness the birth of Robert and Cora’s three daughters: Mary, Edith and Sybil. Soon after Carson is promoted to butler and holds tenure over the position for the better part of half a century. Carson treats the staff to a day out at the beach. Carson is asked to be the Chairman of the War Memorial in Downton Village. Despite the committee’s insistence, Carson insists His Lordship be made Patron. In May 1925 Carson marries his long time co-worker Elsie Hughes, the head housekeeper at Downton. Seven months later he hands in his resignation after suffering from palsy. Underbutler Thomas Barrow replaces him as head butler. But I couldn’t work for a man that I don’t respect. And I certainly couldn’t have left Downton for him. Stalwart, virtuous, tireless, and professional at all times Charles Carson is a Guardian. Violet Crawley, Dowager Countess of Grantham is the matriarch of the Crawley Family by her marriage to the late Earl of Grantham. She is the mother of Robert Crawley, the 7th Earl of Grantham, and of Lady Rosamund Painswick (née Crawley), and the grandmother of Robert and his wife Cora’s three daughters: Mary, Edith, and Sybil. Through her granddaughters she has three great-grandchildren: Mary’s son George, Sybil’s daughter Sybbie, and Edith’s daughter Marigold. Violet locks horns with the heir’s mother, Isobel Crawley. The Countess ultimately embraces all of her new family and does her best to usher everyone in. She works to minimize any scandal brought down on the family, and puts her efforts mainly into maintaining healthy minds within it. Logical, linguistical, intellectual, and sometimes a bit shrewd Violet Crawley is a Rational. Showtime clandestine ops drama Homeland copped 4 nominations this year including Claire Danes who’s been in contention 5 years running. Showtime and Starz subscriptions are now available for 7 day free trials on Amazon Prime here. Homeland has been renewed for Seasons 7 and 8. Season 6 will air Sunday, January 15th at 9PM ET/PT with principal photography commencing in New York City several weeks from now. Netflix white house drama House of Cards bagged 13 Emmy nominations this year and is available here. Fight Club director David Fincher will be looking for his second golden winged lady holding an atom. Cards enjoyed five Outstanding Guest Actor/Actress noms this year alone.